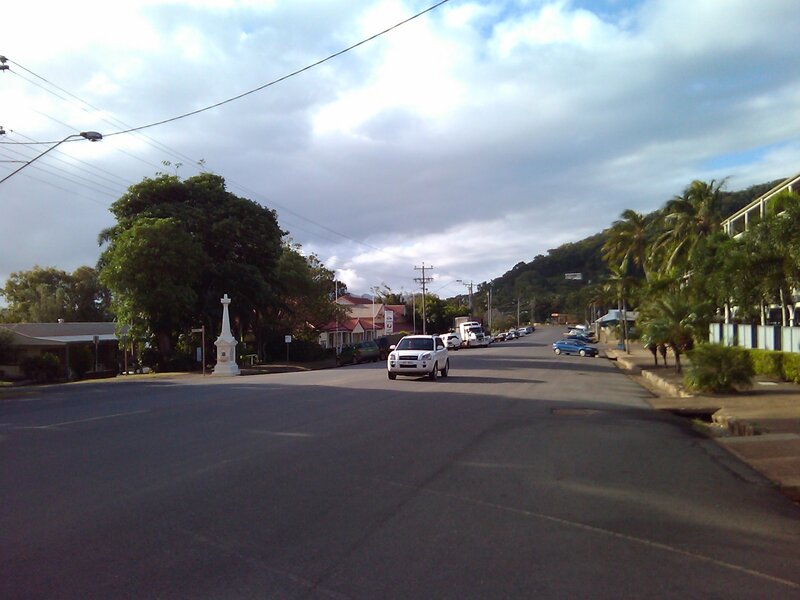 Today we bring you a short, incomplete photo tour of Cooktown. We’ll start at the park full of tourist oriented stuff. It’s pretty interesting down that way. 40 000 years of history in a relatively small space. 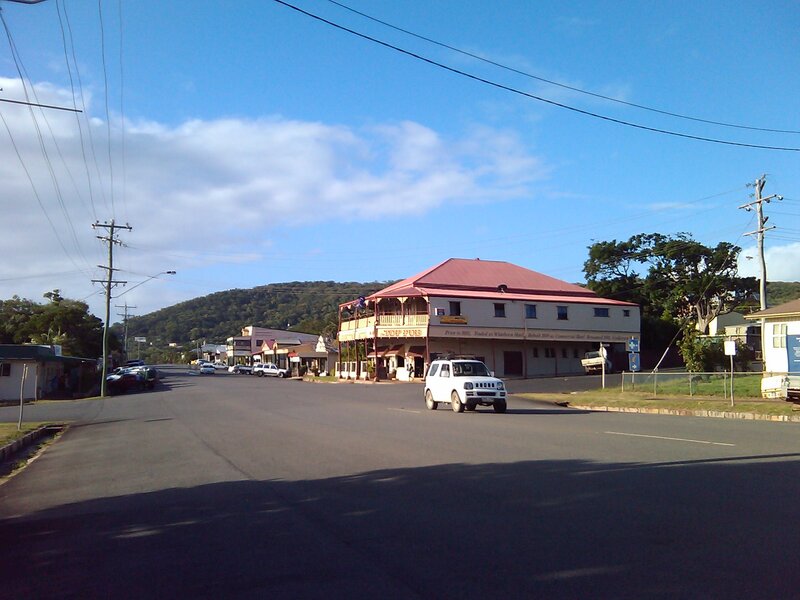 Next, we’ll take a stroll along part of Charlotte Street, now considered the main street of Cooktown. Finally we will have a photo of our mighty metropolis’ main supermarket. 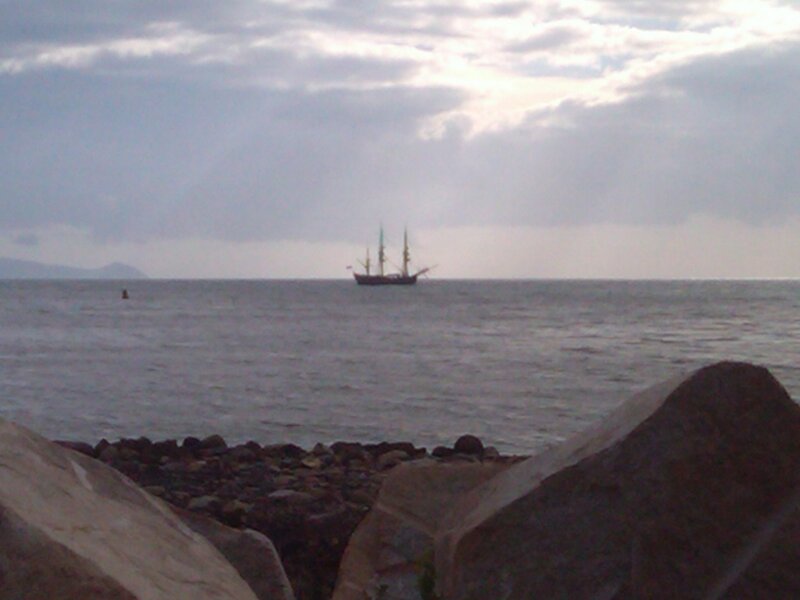 The first photo is the Musical Ship with Captain Cooks monument in the background. 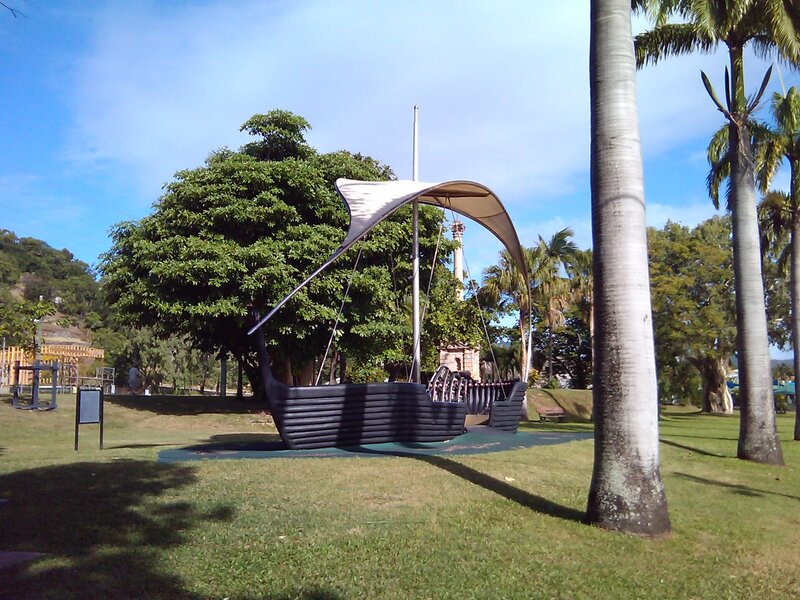 The ship was constructed in 2007 by The Queensland Music Festival http://qmf.org.au/content/about-us/ and contains a multitude of percussive instruments for all to play and enjoy. 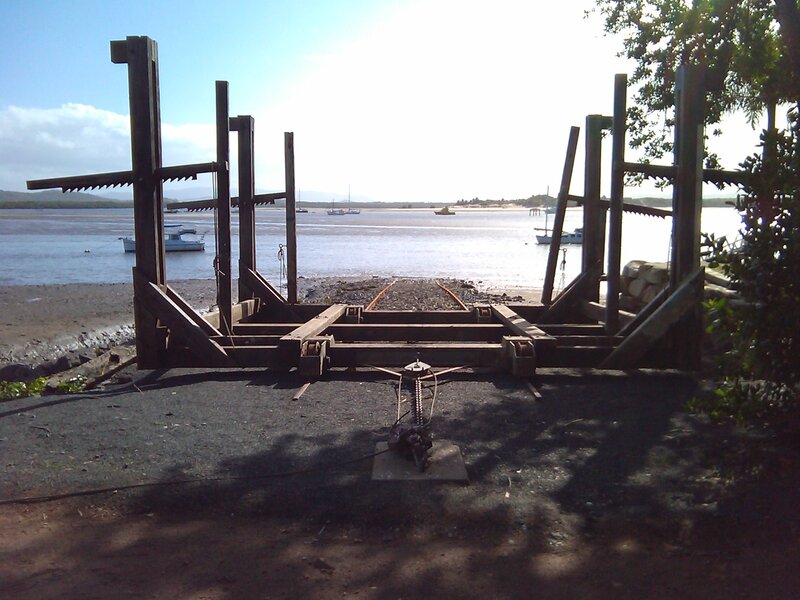 The next pic is the Cooktown slipway. It has been there forever and is used by locals and others to do hull maintenance on their boats. 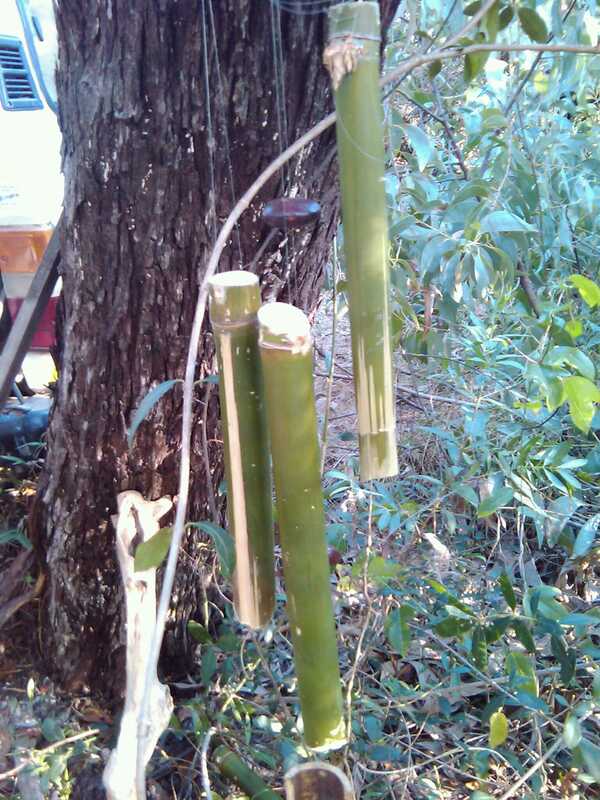 It’s old, but it works well. 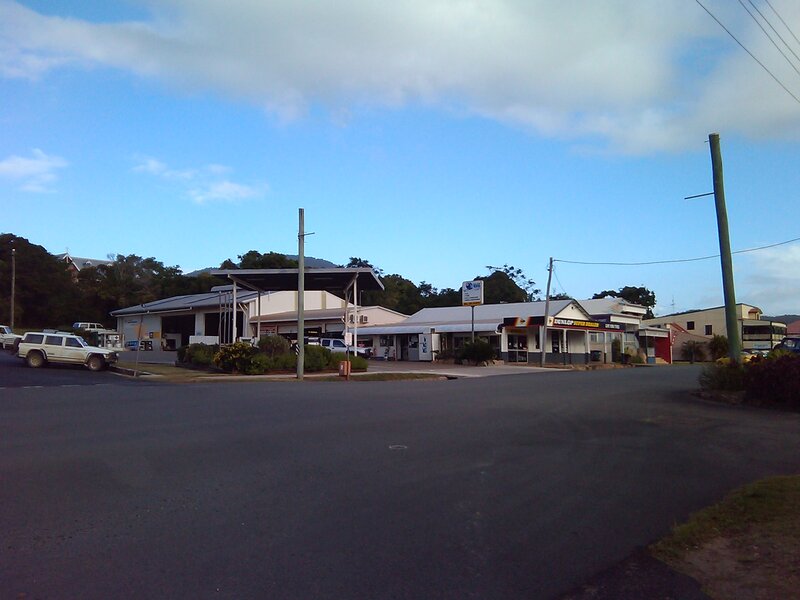 Across the road is the local Cop Shop. Next to that (hidden by the trees) is the Courthouse. 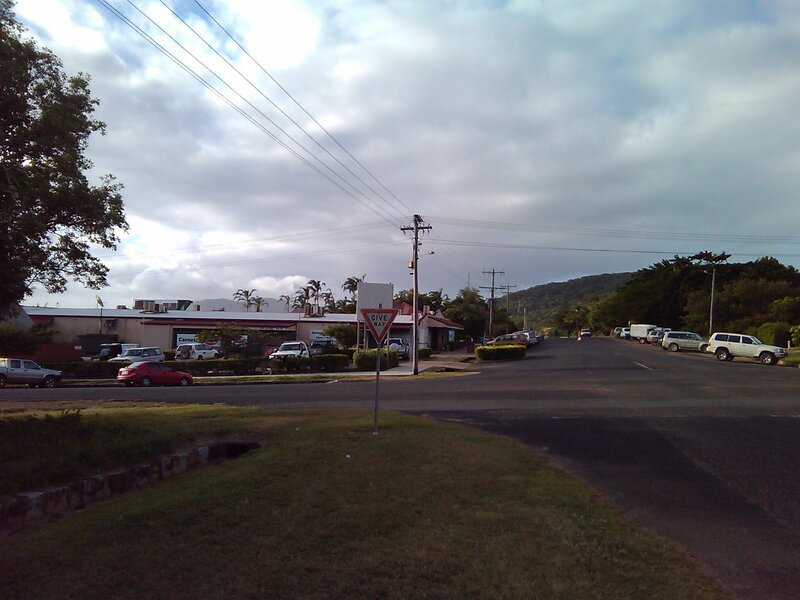 The building in the distance is the Seaview motel. The Seaview street side rooms have some of the best sunset views across the Endeavour River. 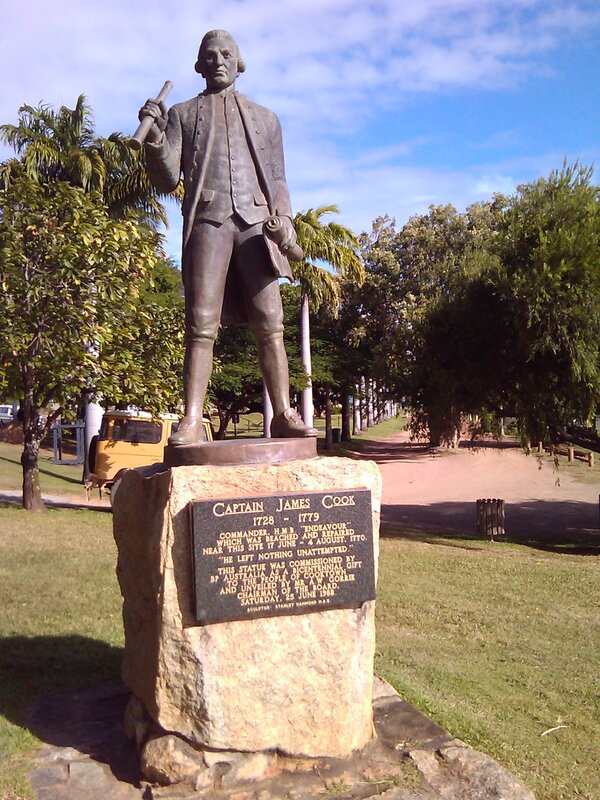 Next up is the statue of Captain James Cook. 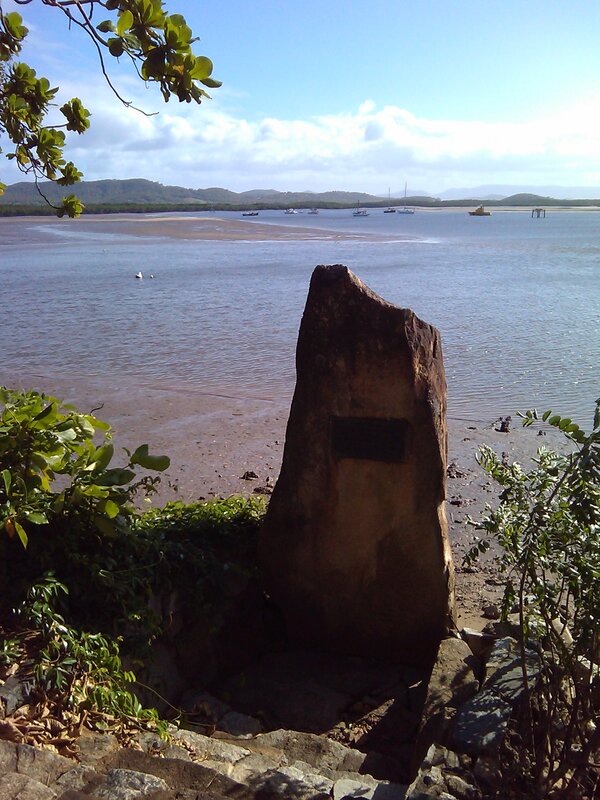 This statue was sculpted by Stanley Hammond and donated to the Cooktown community by BP Australia in 1988. 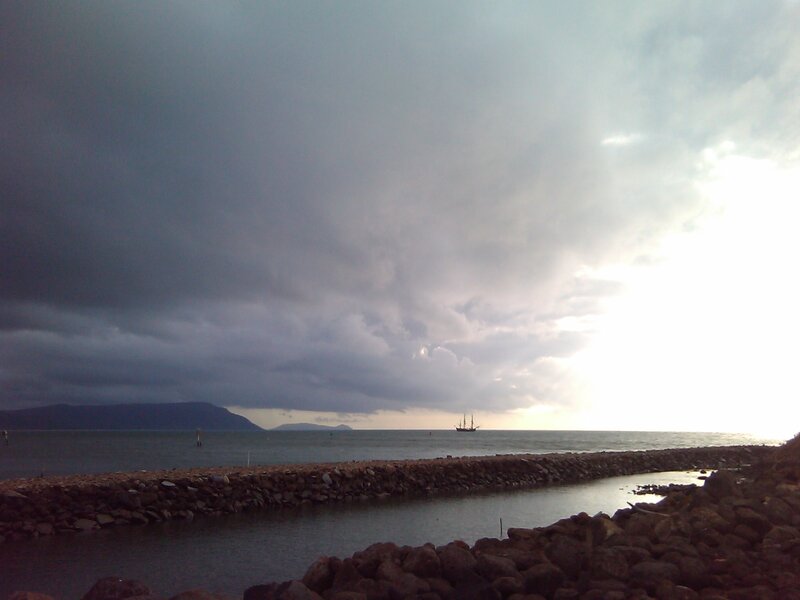 The next photo is one of the many cairns around Cooktown. 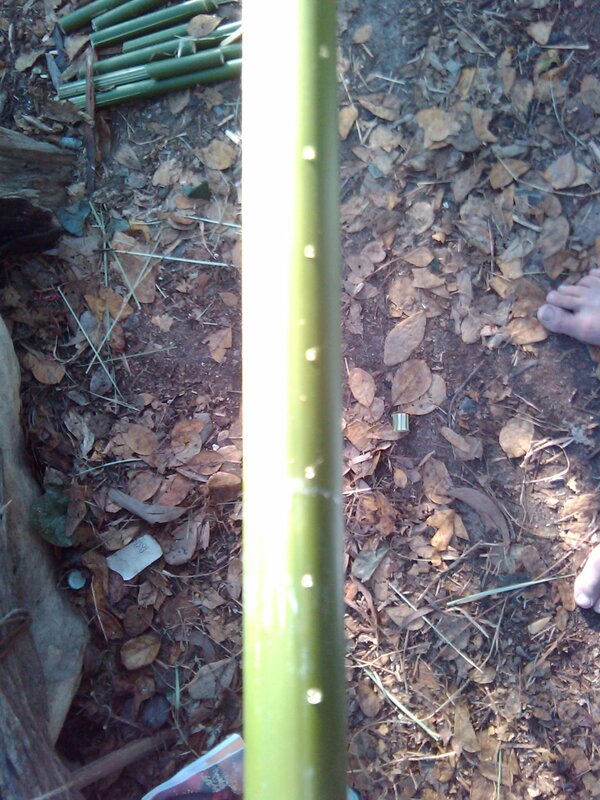 This one marks the spot where Capt. Cook beached the ‘Endeavour’ after holing it on the reef South of here. He spent about two months hanging around while his crew repaired the ship. They were the first British tourists to land here. 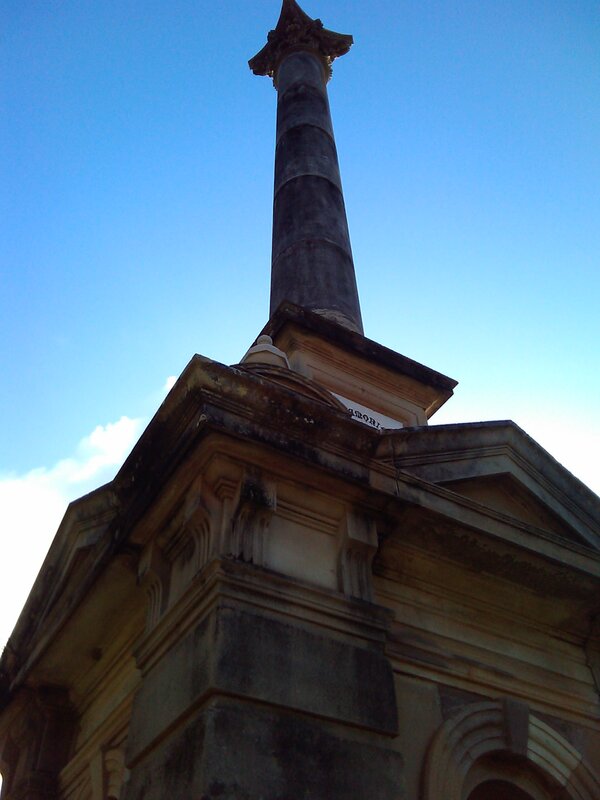 The next four photos are of Captain Cooks monument. 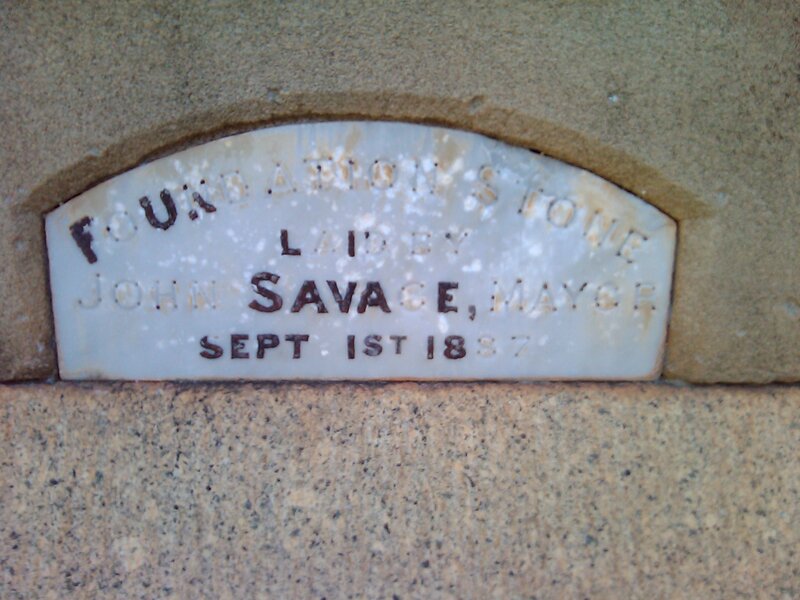 This edifice was constructed in 1887 by a Brisbane company whose name I can’t recall. It’s on the monument base but I didn’t take a pic. 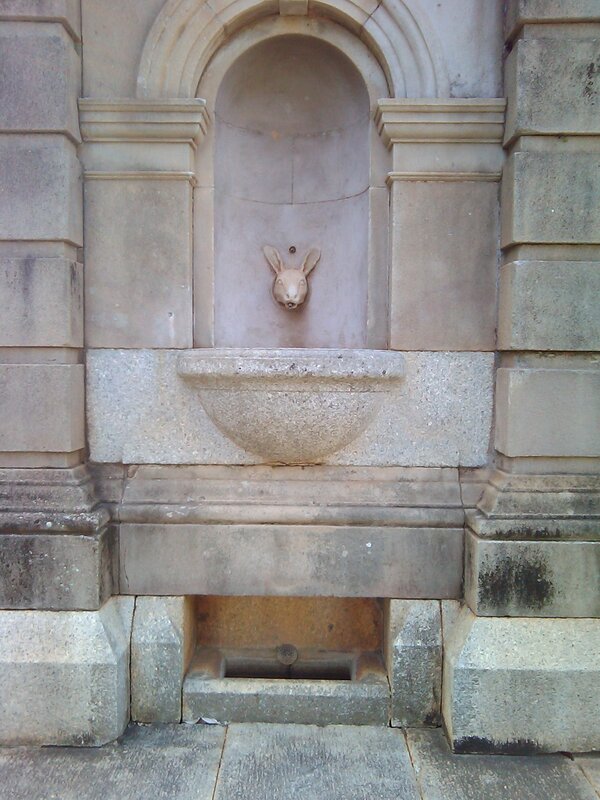 On each of the four sides are drinking fountains shaped in the form of kangaroo and koala heads. 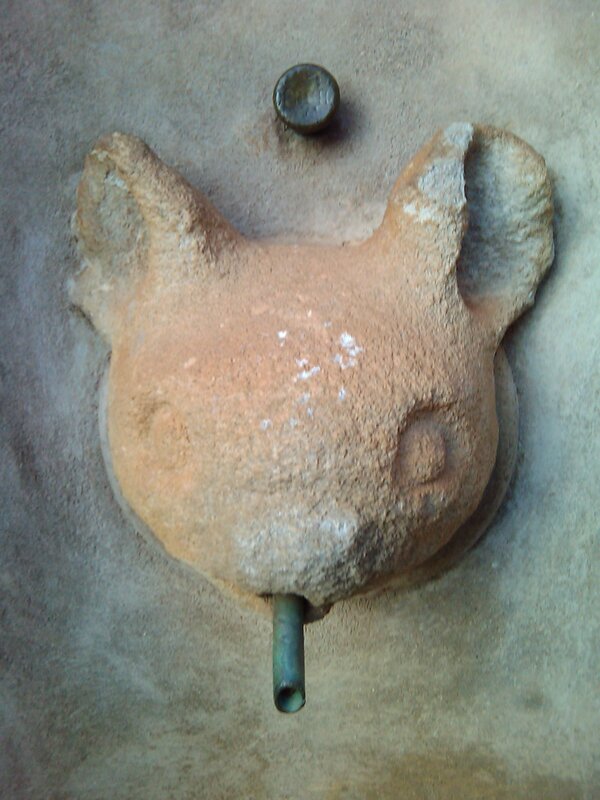 I like the dog drinking bowls at the base of the fountains. 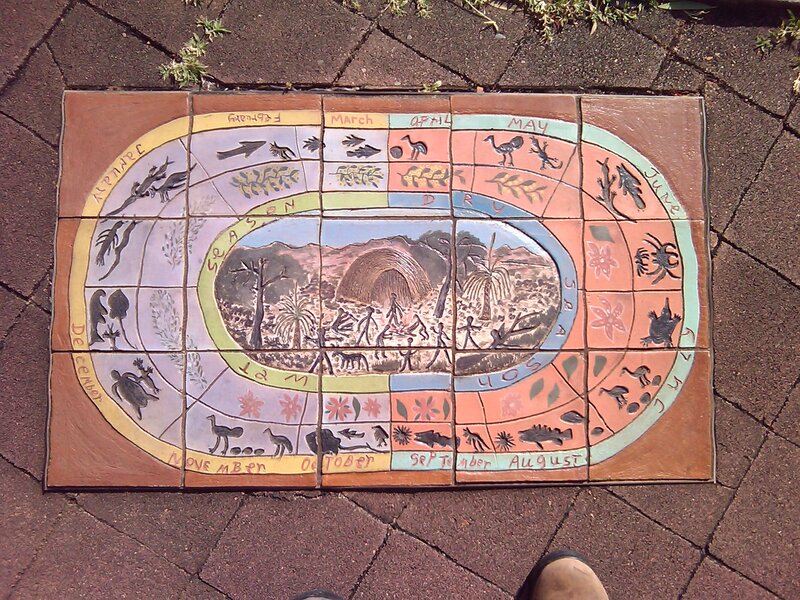 Next up is a tile from the River Of Life walk. 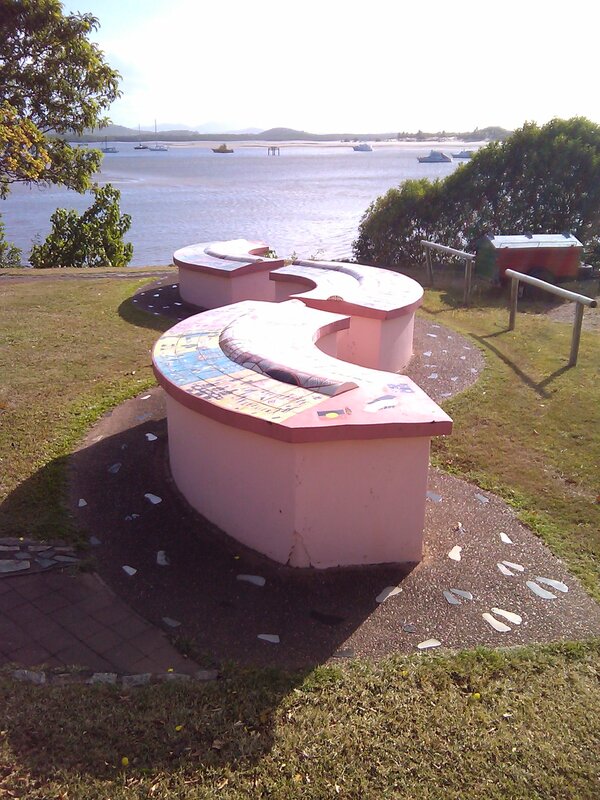 A winding path through the park tells the story of the Endeavour River from many perspectives. This tile tells us of the foods available during the year around this area. 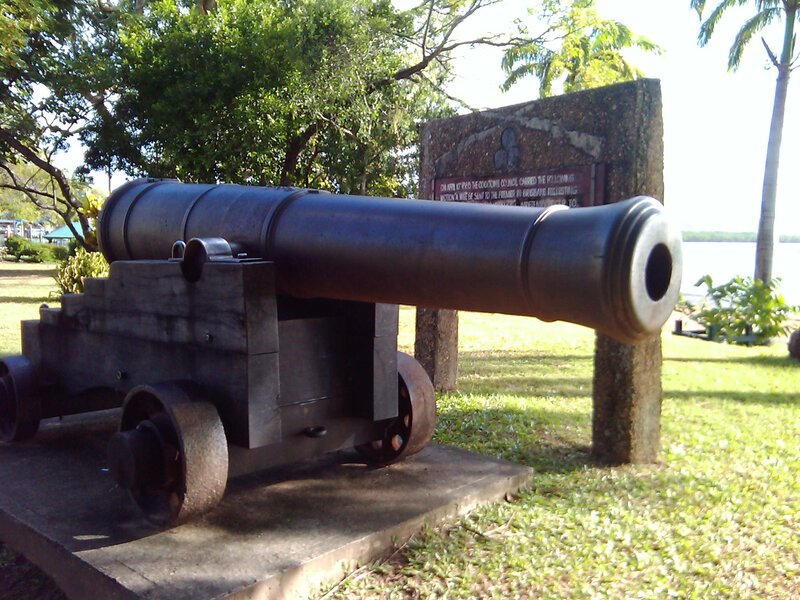 The cannon. Back in 1885 there was some paranoia about a Russian invasion. 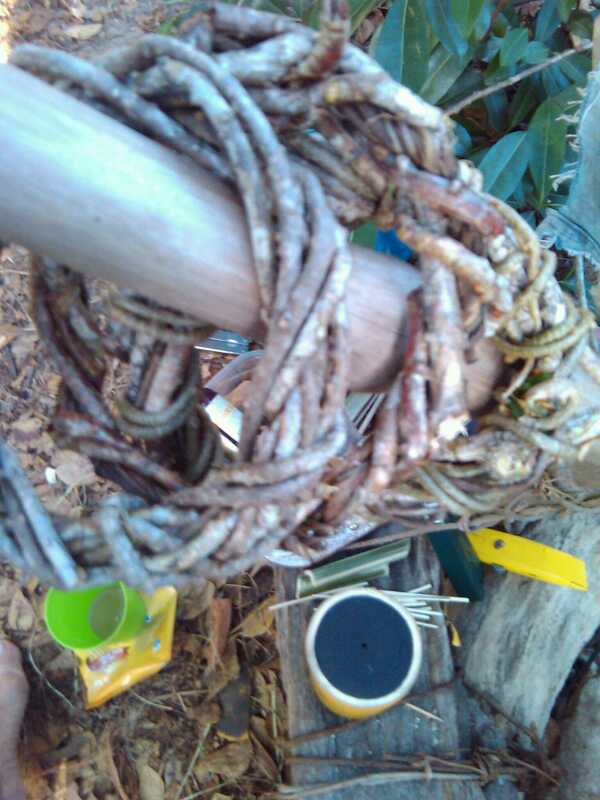 The Council sent a wire to Brisbane requesting armaments to defend town and country against said invasion. The Government sent them this cannon (made in 1803 in Scotland), 3 cannon balls, 2 rifles and 1 soldier! 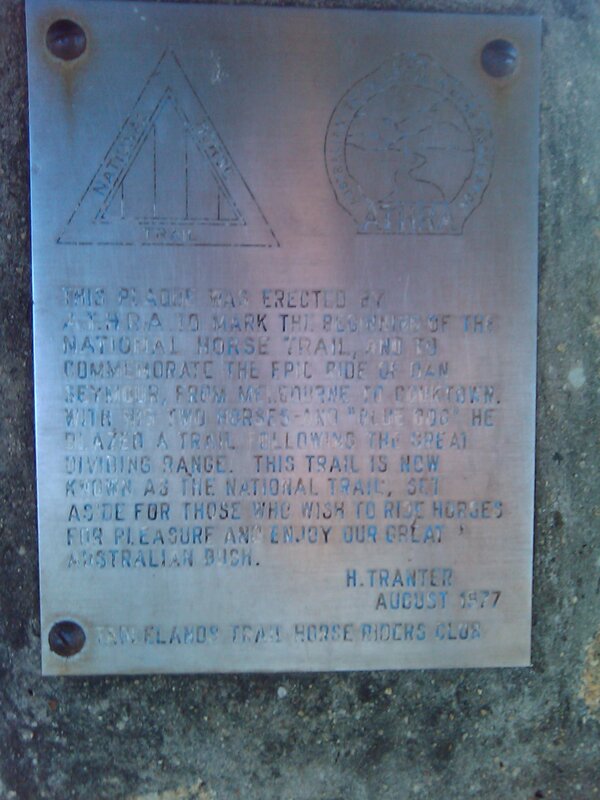 The next pic is of the plaque marking the start of the National Horse Trail. 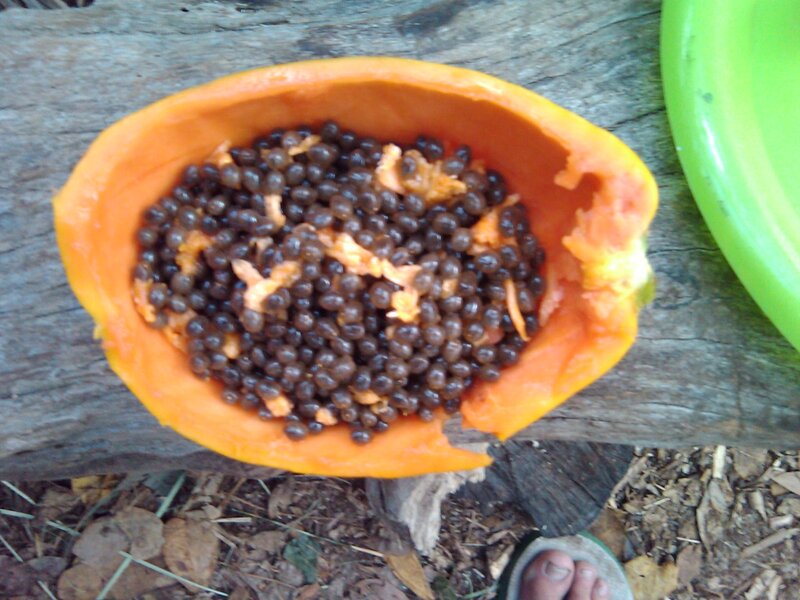 The trail starts in Cooktown and continues down the coast, ending at Healesville in Victoria, 70 odd kilometres North of Melbourne. The trail is 5330 kilometres long and is the longest of its type in the world http://www.nationaltrail.com.au/ The trail is only for non motorised transport. The next pic shows the National Trail cairn with the horse hitching post, plus the cairn in the background commemorating Edmund Kennedy’s exploration. 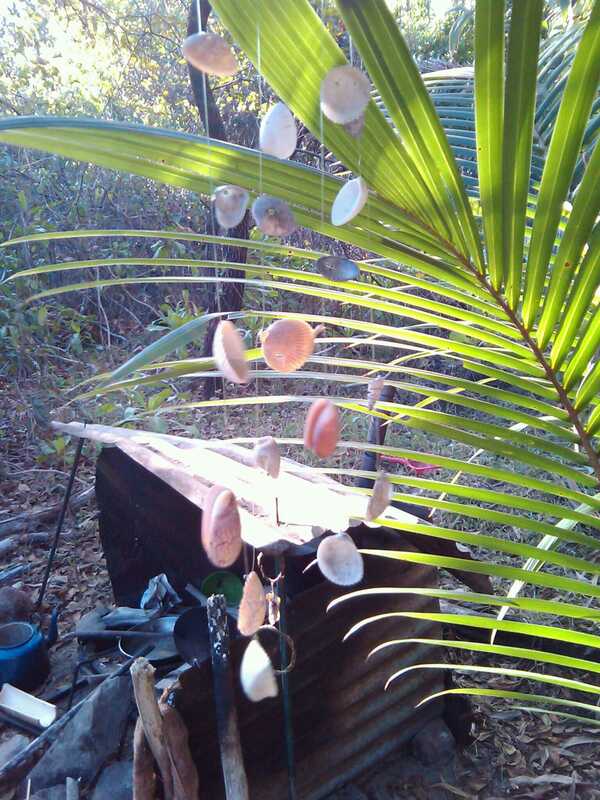 I told you Cooktown has lots of cairns! Now we’ll stroll further up Charlotte Street. The first is a view South along the street. Today was a busy day as you can see by the traffic. For tbe curious, the first shop on tbe left is The Lure Shop. 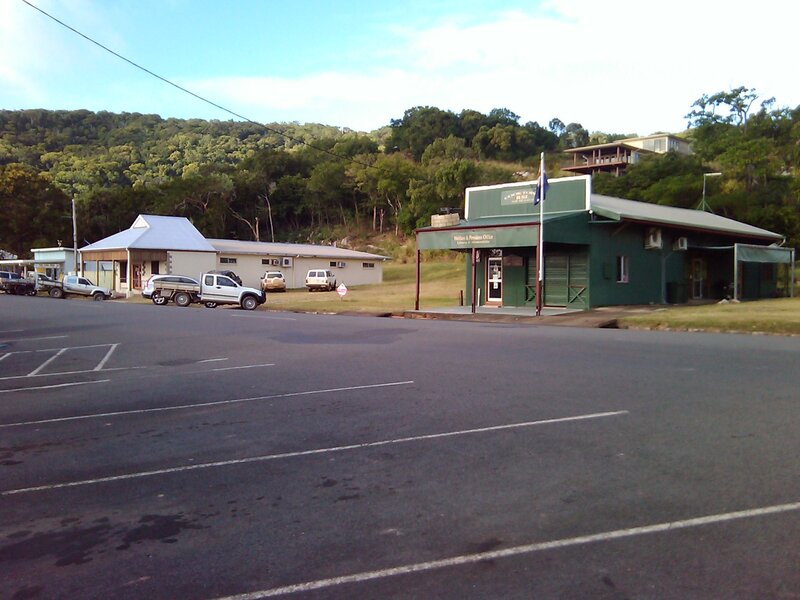 On the right is the bowls club. 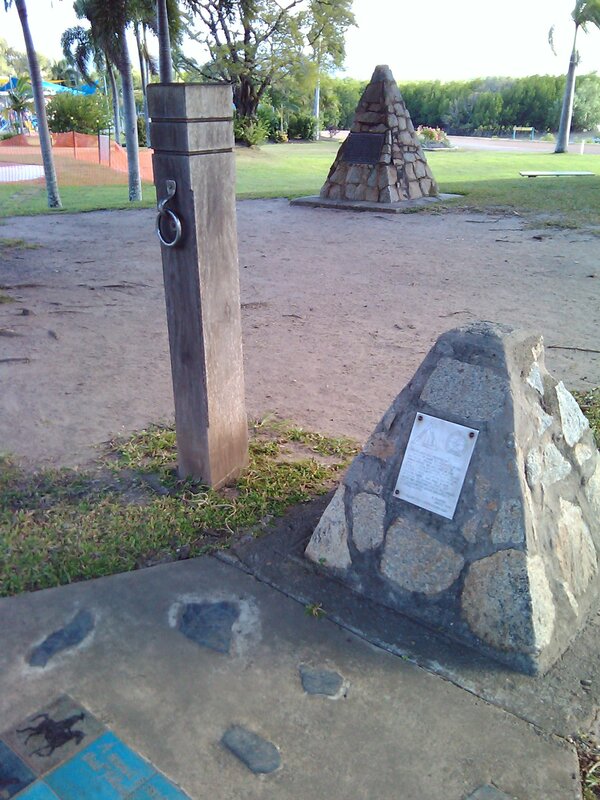 Next is looking back to the Lure Shop and the RSL museum. Then we have a water fountain. 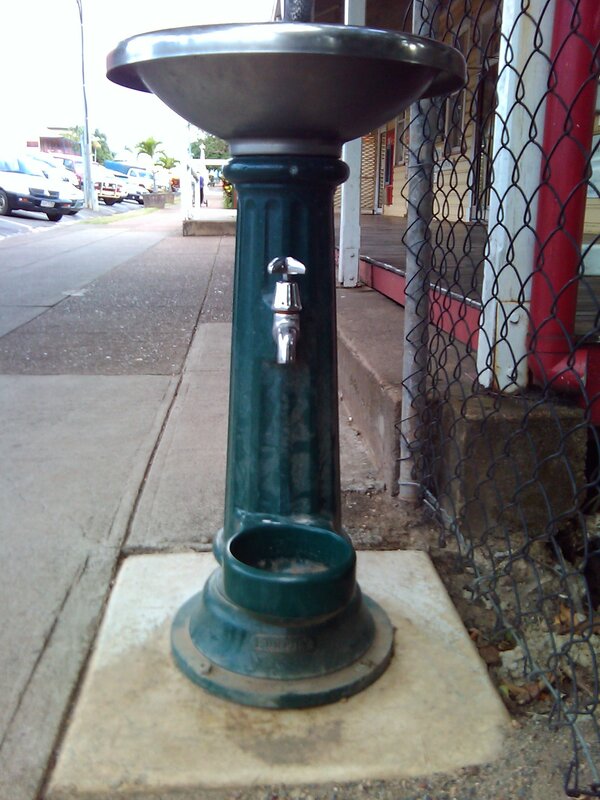 You’ll find these Furphy made drinking fountains all over town. 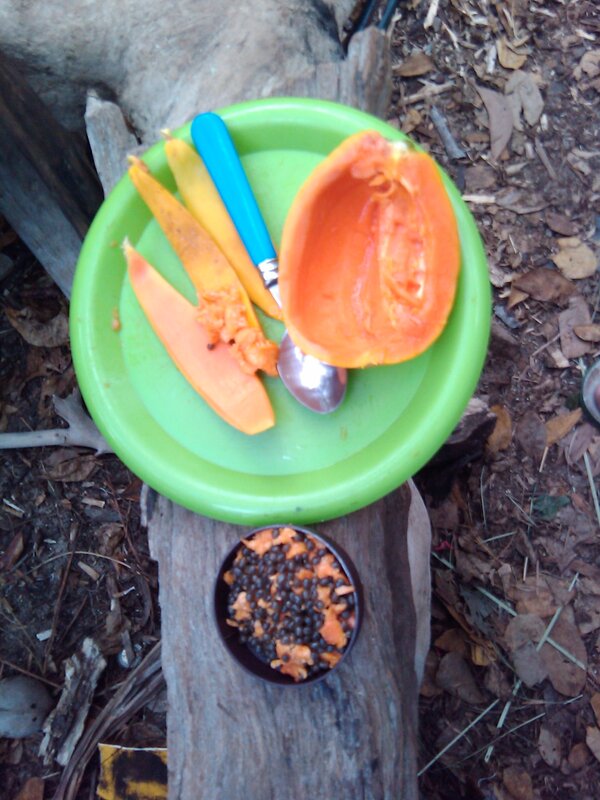 In keeping with tradition, dogs are also catered for with the bowl at the base. 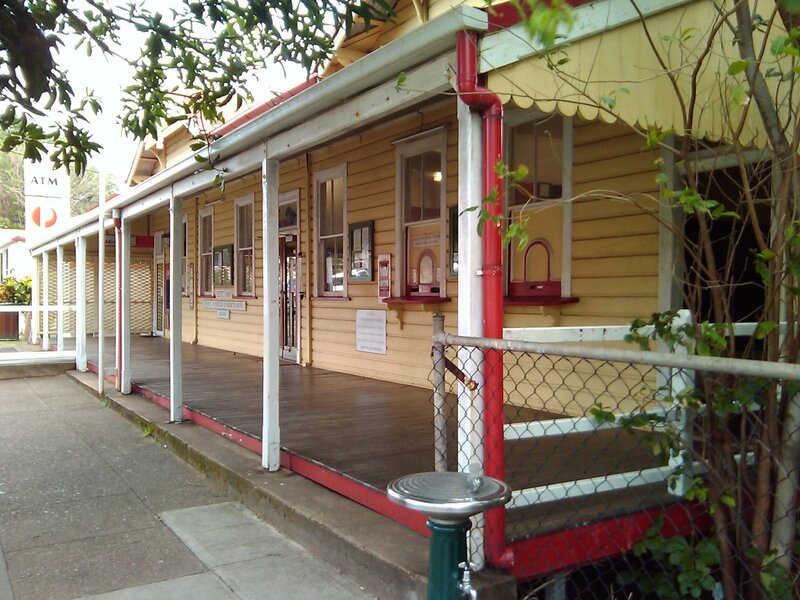 Next is a shot of the ‘new’ Post Office. 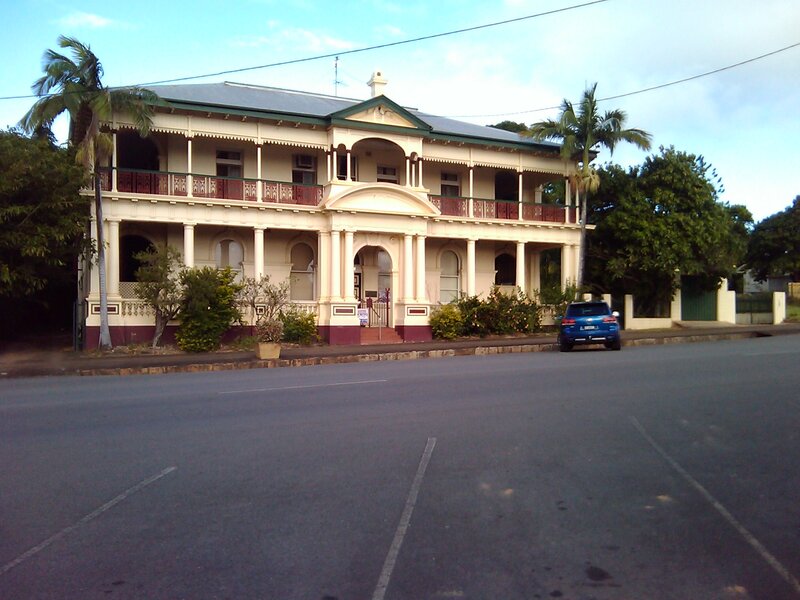 I think it was built in 1888 to replace the ‘old’ one that still stands next door and is the oldest European type building in Cooktown. Then we have a view North along Charlotte Street. 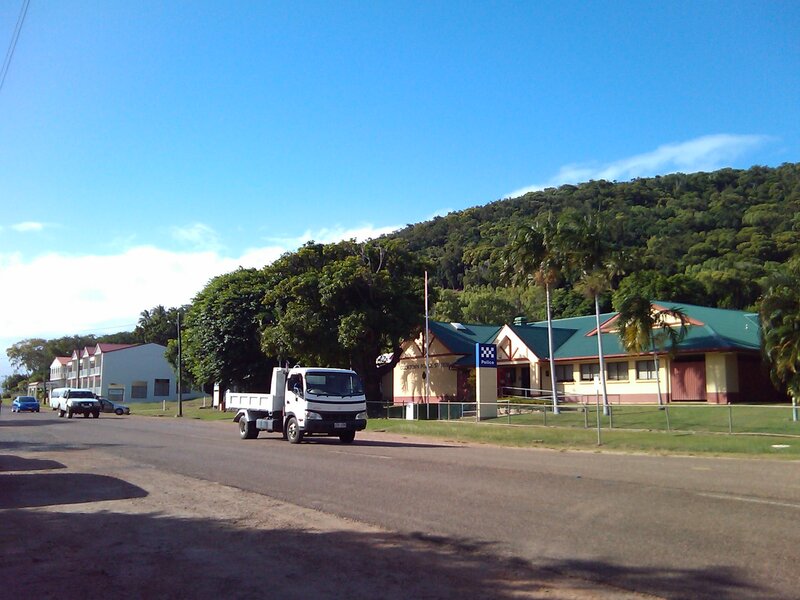 The monument on the left was built around 1886 in rememberance of Mrs Watson, whose husband ignorantly built his house on sacred Aboriginal land on Lizard Island. 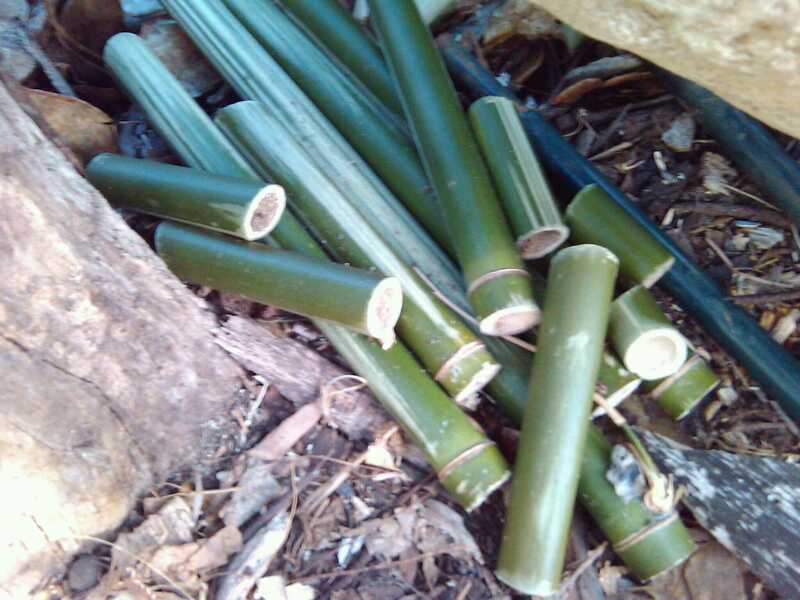 The Owners of the land attacked her and her Chinese servants. 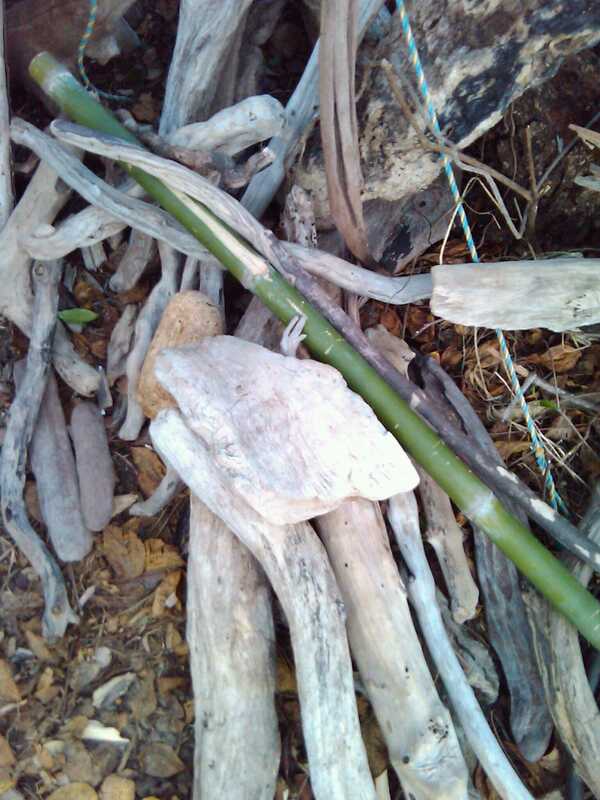 She, her baby and an injured servant escaped the island in a beche de mer boiling vat but sadly died of thirst on another island. Search her name for the full story. 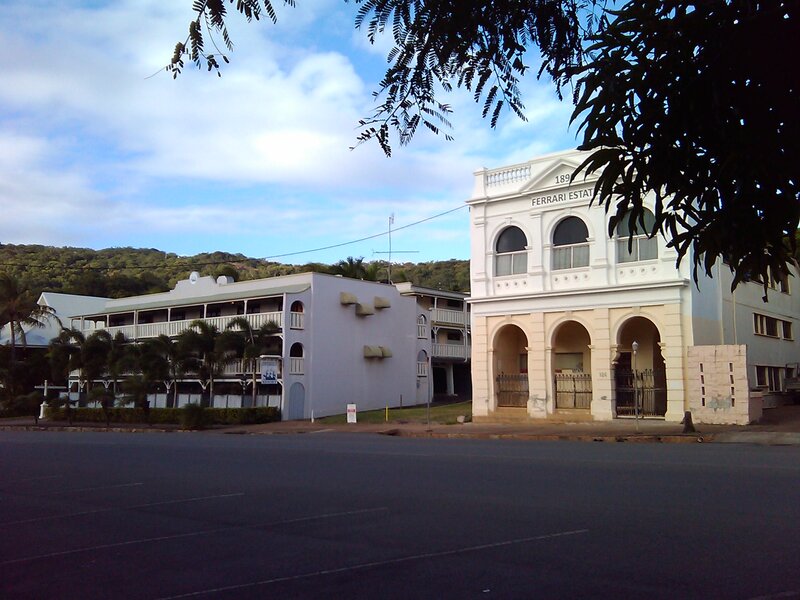 Next up is a view of the Sovereign Resort Hotel and one of the old bank buildings. 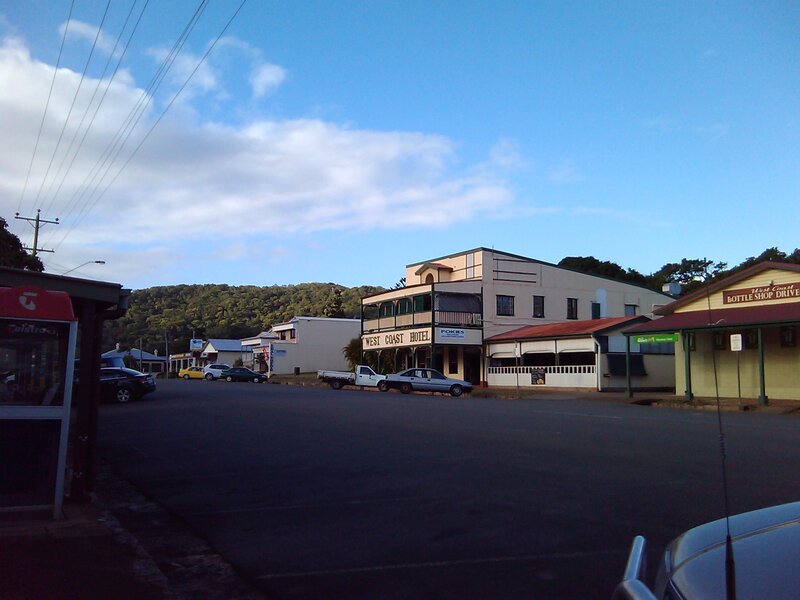 Most of these buildings were constructed in the early 1880’s when Cooktown was thriving on the back of the Palmer River Gold rush. Next is Seagrens, then the National Bank building. Now we get modern for a bit. If you need tyres or some mechanical work, this is the place to look for. Following that we have The West Coast, or Commercial Hotel. 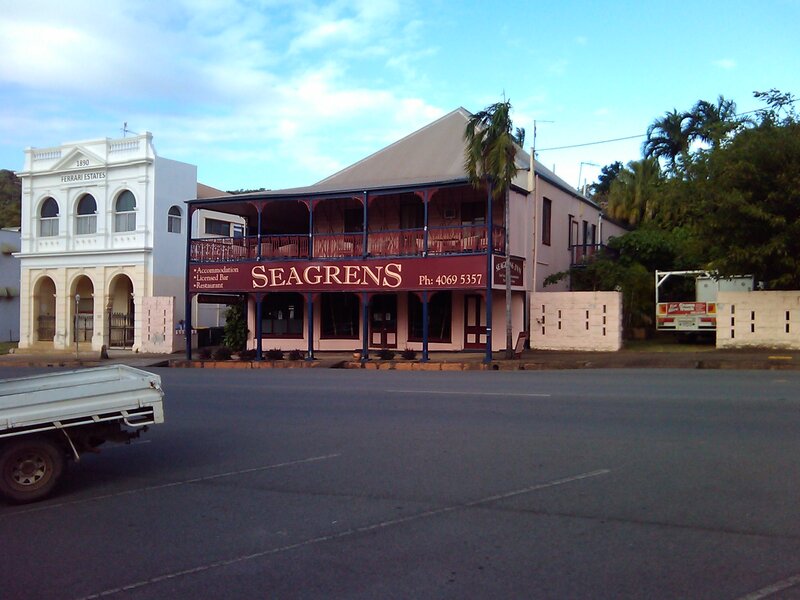 The oldest standing pub in Cooktown. Then we have The Top Pub. 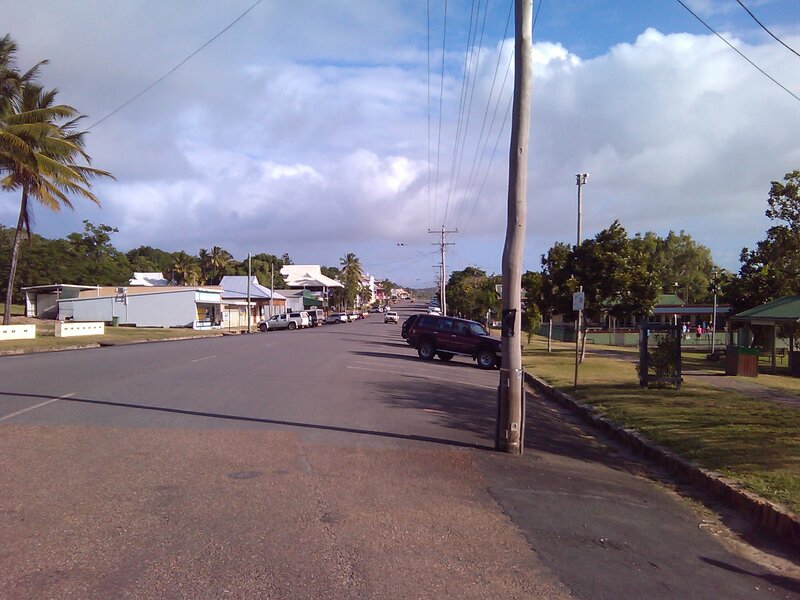 It has had number of names including The Cooktown. Last but not least is our Supermarket. Yes. 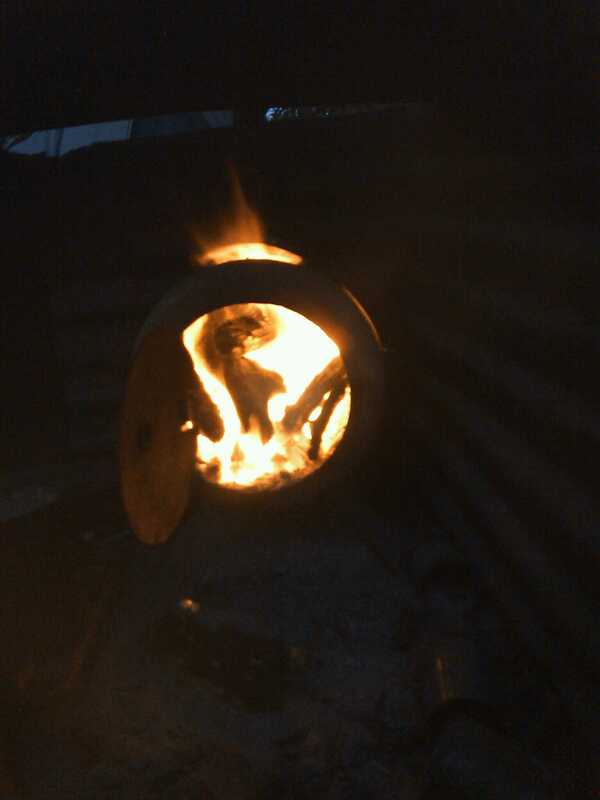 We have one. It’s a Cornett’s IGA. 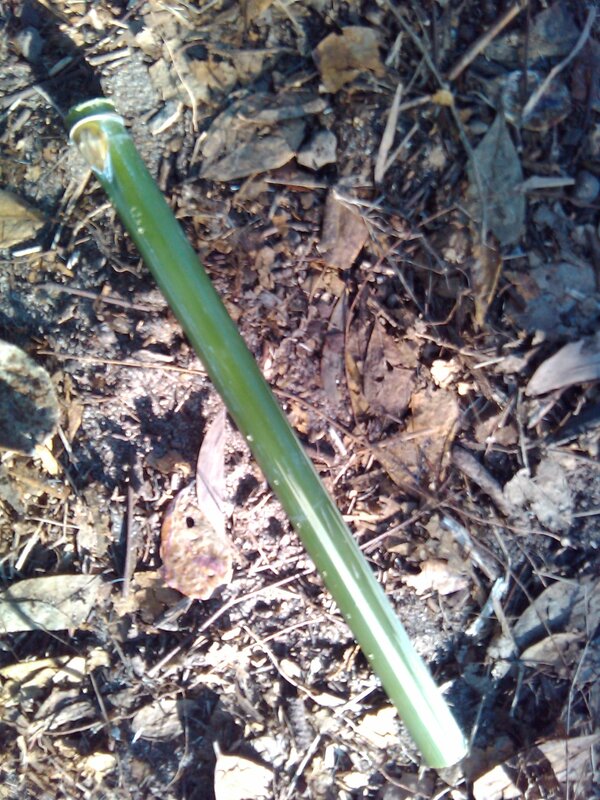 Not the biggest one around mind you, but big enough for us. 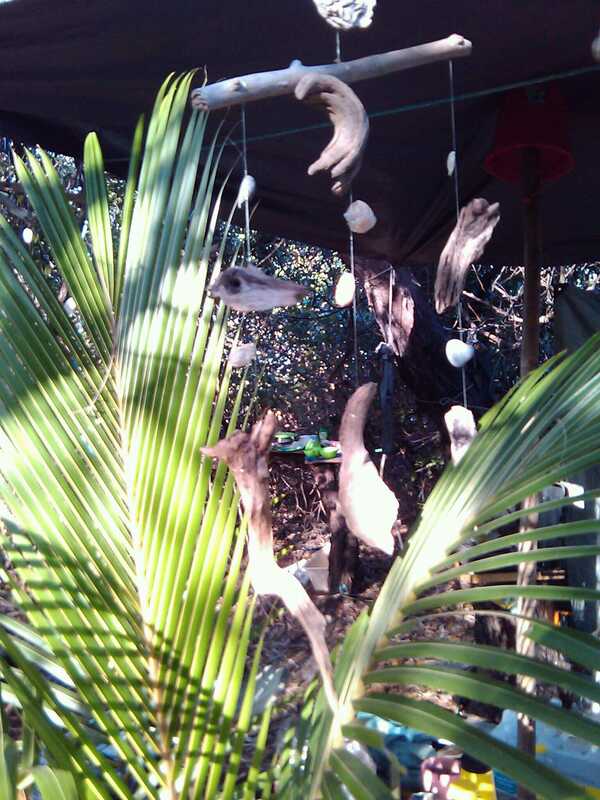 Cornetts started on Bribie Island years ago. I used to shop at their first Bribie store in the mid eighties. Just thought you’d like to know 🙂 . Anyway, I hopeyou enjoyed this short tour. I’ll take you around the back streets soon. P.S. Please forgive any typos. It takes long enough to do this on a small screen keyboard, let alone spell-checking!